Taken Sept. 5th, 2013. Nikon D80 dslr, Nikkor 16-85 mm lens set at 72 mm. ISO 125, f /16, 1/90th second. Shot in RAW format, finished in Photoshop CC2015. 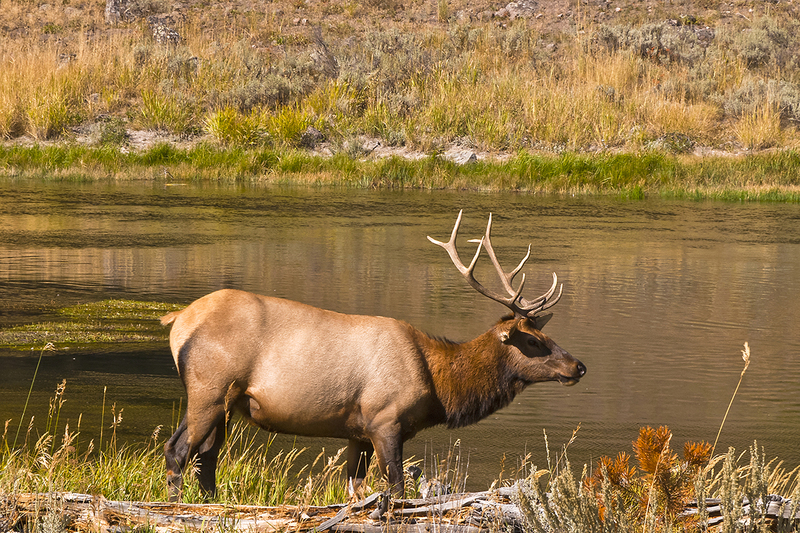 An elk grazing (and posing for photographers) along the Madison River just east of West Yellowstone in Yellowstone National Park.